The accused in the acid attack on the Bolshoi Ballet chief, dancer Pavel Dmitrichenko, denied he had ordered to inflict harm upon Sergey Filin. If found guilty, Dmitrichenko faces up to 12 years behind bars. 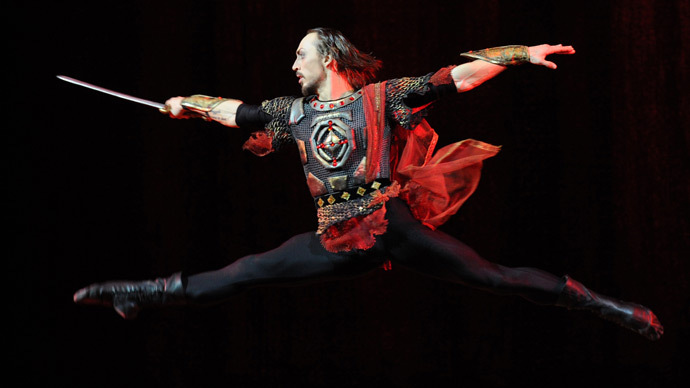 The suspect’s lawyer indicated that his client acknowledges “the factual guilt in committing the crime,” but is outraged by the media claims that he ordered to attack the Bolshoi Ballet chief with acid. Pavel Dmitrichenko assured investigators that he had only ordered a beating for Filin, and the acid attack wasn’t his idea. “I would like to say that I didn’t order to inflict harm upon [Filin],” he told investigators. “Yes, I masterminded the crime, but not to the extent to which it happened,” the dancer indicated. 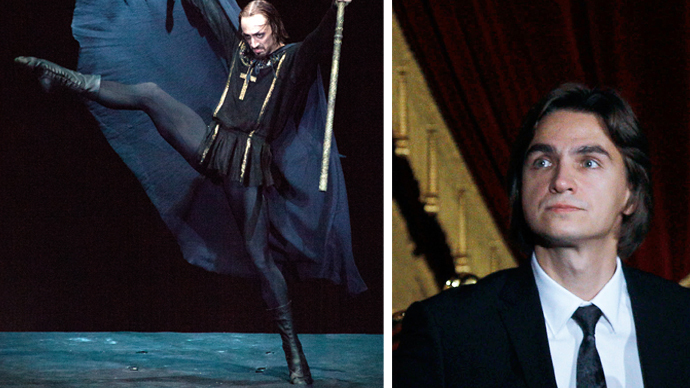 Two days ago, however, Dmitrichenko, one of the leading Bolshoi Theater dancers, confessed to police that he masterminded the acid attack on Sergey Filin, the Bolshoi Ballet’s artistic director. Two other alleged participants of the assault were also detained, and admitted to their participation in the crime. On Thursday Dmitrichenko was formally charged and faces up to 12 years in prison if found guilty. Despite Dmitrichenko admitting to having commissioned the crime, some of his colleagues remain unsure about who and what actually triggered the conflict, and the acid attack that followed. “Dmitrichenko is an honest and open person! For example, when he had a conflict with a critic from Kommersant newspaper because of her bad review of ‘Ivan the Terrible’, he acted frankly in the comments to the article, and signed all he said, ‘Pavel Dmitrichenko’. I don’t believe it! It’s hard for me to believe! We’ve worked so long in one company. I don’t know a single case of him offending any of his colleagues! There were, of course, disputes, but those were only in-house spats,” a source at the Bolshoi Theater told Moskovsky Komsomolets (MK) newspaper. The motive cited behind the crime by various Russian media outlets is the young ballet dancer Anzhelina Vorontsova, who was allegedly not favored by Filin, being married to Dmitrichenko by habit and repute. Police, nevertheless, name the motive as ‘personal enmity’ of the dancer towards the Bolshoi Ballet’s artistic director. On January 17, Sergey Filin, was attacked by a masked assailant who splashed acid in his face. The director, who suffered third-degree burns to his face, had to undergo several plastic and eye surgeries and is presently undergoing continued treatment in Germany.